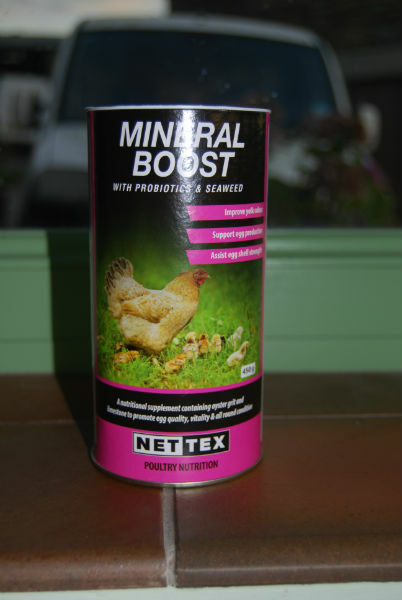 Net-tex Mineral Powder with Pro-biotics and Seaweed is a diet supplement for laying hens which maximises the chances of strong egg production and minimises the effects of moulting. 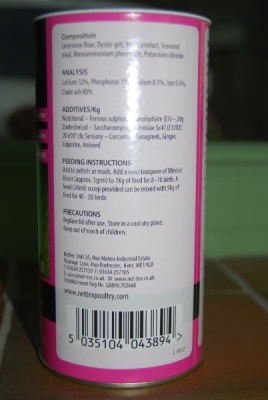 Egg shell hardness is determined by your hens' calcium consumption - Net-tex Mineral Powder contains the right levels of limestone, oyster grit and phosphorous to enhance calcium absorption. To keep your hens' immune systems as strong as possible, Net-tex Mineral Powder also contains the probiotic agent Saccaromyces cerevisiae alongside Vitamin B and a wide spectrum of amino acids. Seaweed has also been added to improve egg yolk colour and shell strength.